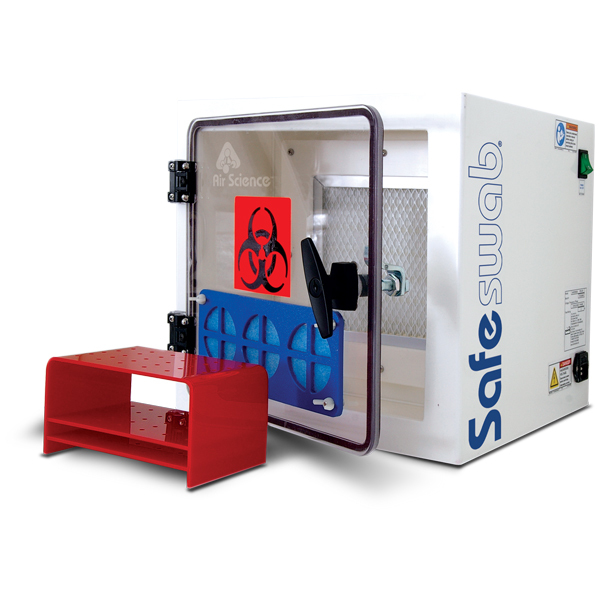 The Air Science USA Safeswab™ is a special purpose evidence drying cabinet designed to safely dry swabs used to gather blood, DNA, and trace chemical evidence at crime scenes. 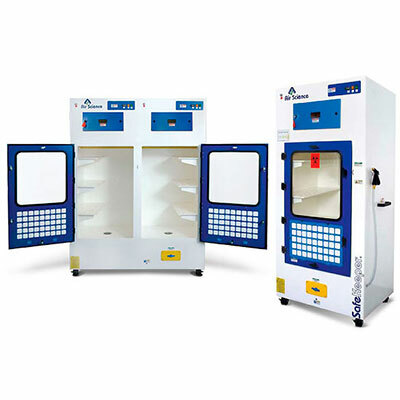 Part of the Safekeeper® Forensic Drying Cabinet product line, the Safeswab incorporates features that help maintain the chain of custody while ensuring accurate forensic results. The HEPA/ ULPA main filter is formulated to contain any particulates or biological material that might be present on swabs, providing added protection for technicians during evidence processing. 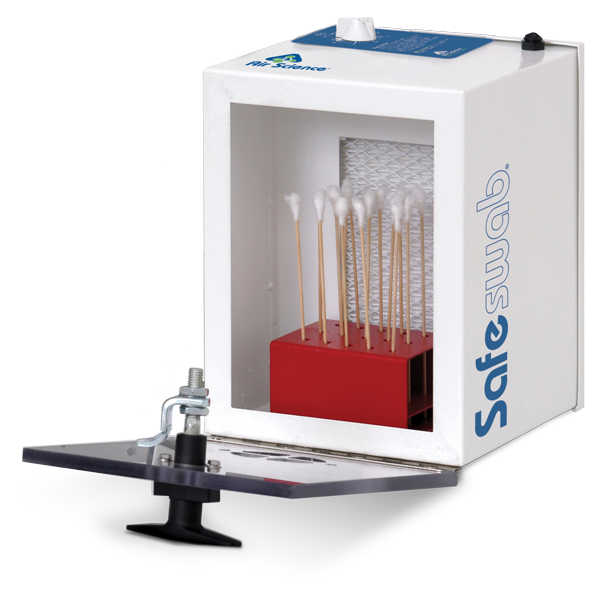 Swab holder included (15 or 30 swab capacity). HEPA/ULPA main filter traps particulates and biological material. Manual On/Off Fan Switch (FDC-001 only). Available in tabletop or mini configurations. 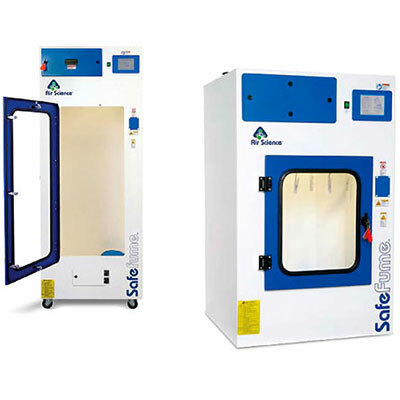 Clear, gasket-sealed door latches securely to thoroughly contain all contaminants. 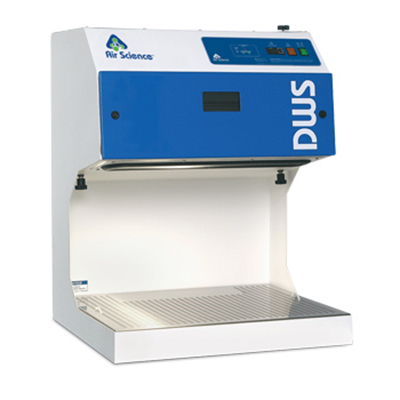 Easily cleaned to protect items of evidence from cross-contamination. Safe and easy to change HEPA/ULPA filters.